2. 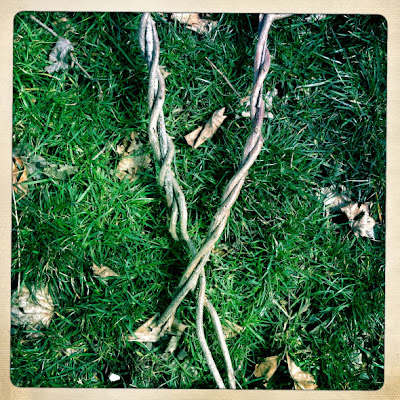 The vine held tightly / all last summer as she swung / lays lifeless on lawn. 3. Swinging vine / last summer's pleasure / storm victim. 4. Twisted vine / last year's screaming fun / swings no more. 5. The vine has fallen / that once carried my daughter / my unswung hero.